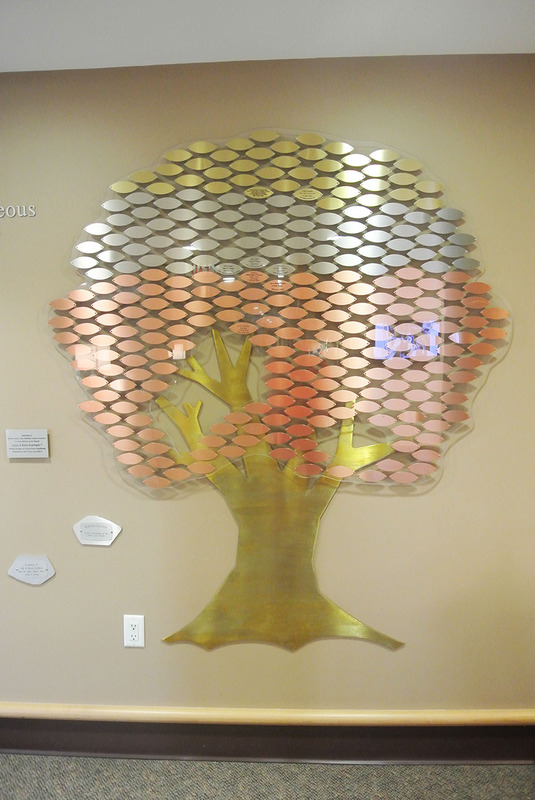 This beautiful tri-coloured plaque tree is located in the main foyer of The Weinberg Residence. Each leaf can be inscribed with a personal tribute to honour the memory of a loved one or celebrate a special occasion. The inscribed leaves supports programs and services for the Weinberg, such as horticultural therapy, music therapy, guest speakers, special outings and musical entertainment. Contact the Louis Brier Jewish Aged Foundation at 604-261-5550 or foundation@louisbrier.com for more information. All donations are tax deductible and will benefit the Weinberg fund. Donations above $1,800 will be recognized in our Gallery of Donors. Please click here for more information about our gallery and categories of giving.